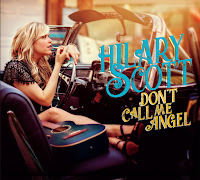 Has Dynasty's Sammie Jo gone into music?, was the question I asked myself looking at the cover of Hilary Scott's 'Don't Call Me An Angel' for the first time. Hilary (yes, only one l) Scott is an American singer-songwriter on the overlapping edges of roots, pop and country, now living in a part of the north-west U.S. I only learned the existence of through that great novel 'Snow Falling On Cedars', Puget Sound. Equipped with a smoky voice, she presents her 12th album. I could make it easy on myself and just conclude that Scott makes it too easy on herself and presents too overly clean and not dangerous (enough) music. That is only half of the story though. In fact it would sell the album short, though not untrue. The other half is about Don't Call Me Angel being a nice collection of songs, that have some fine band playing on it. Co-producer Johnny Lee Schell has made the album warm and loving for the artist and the listener. The result is an album I like to listen to every once in a while. 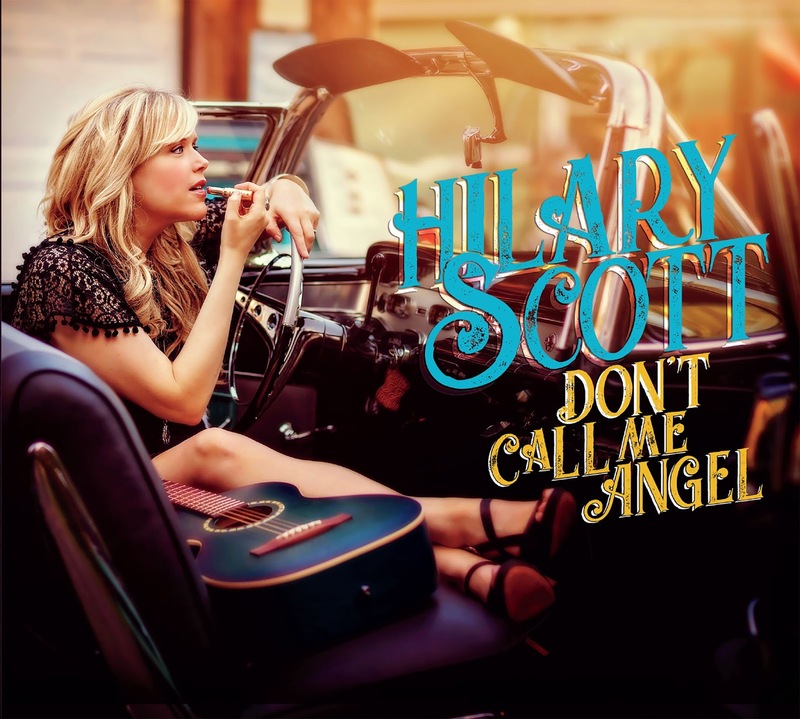 Hilary Scott presents a few moods on her latest album. The up tempo rocking 'Not Used To Being Used To' is followed by a fine ballad called 'You Will Be Mine'. Where in the former the guitars rock out, including some soloing, on the latter a warm Hammond organ carries the tune where a piano plays the solo. The kind of song that makes it easy to be carried away with. My first comments are in accord with a song like 'Heartless'. I'll just leave it there as there is so much else to enjoy. A big surprise is the cover of Prince's 'Kiss'. Stripped of all the funk and horniness of Prince and certainly the bluster of Tom Jones, 'Kiss' becomes a modest love song in the version of Hilary Scott. Just an acoustic guitar is enough to make her intentions clear. It really is a kiss that is enough here. 'Make It Right' is another song that colours between the lines neatly. At the same time Ms. Scott seems to play all the right notes here. The spaces left open in the mix allow for all the individual instruments to shine in the right moments. The result is a warm song, slowly taking its course with Hilary Scott shining in front of it all. She's singing slow, drawing out the notes without ever once becoming tedious as some of her colleagues can be. This is slow and to the point. With this I've reached the core of this album. There is a modest urgency in Don't Call Me Angel that makes it near impossible not being touched by it. There is a level that is easy to miss when attention is not provided. As I have, I can write that Don't Call Me An Angel is a small treasure, shining ever so bright for those who pay attention.